It's been a while since I've reviewed a book! 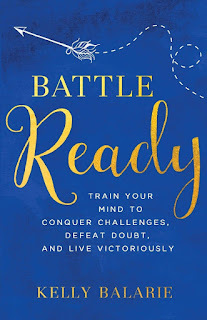 Battle Ready: Train Your Mind to Conquer Challenges, Defeat Doubt, and Live Victoriously starts with a bold intention, to "...train our minds to conquer uncertainty, beat insecurity, and step past the tragedies of yesterday." This book isn't meant for speed reading. It's actually a beautifully laid out, 12-step plan to literally change the way you think and approach the world. Kelly's writing is steeped in Scripture, so you never doubt her source or her focus. I love a book with a beautiful table of contents! Kelly lays out her plan using her table of contents, step by step and topic by topic. "Possibility," "Identity," and "Sensitivity" are just your starting points. Make sure you take a few moments to read these pages and prepare your heart for what's to come. And as you work your way through the book, this table of contents can serve as a reference for quick reminders and recaps of lessons learned. your final step is "Impossibility." Each chapter takes you through the topic, giving you a greater understanding of how to change your negative thinking into a positive, Scripture-strenghtened mindset. You'll be supported in your journey by themed prayers, application questions, and even special activities for group study. Online, you can access videos and other free downloadable resources. Kelly delivers heavy material in a light and accessible way. Recognizing the weight of the work, she actually gives you several "Intermissions", so you can take a moment to breathe and rest. Like a "selah" in the Psalms. One quick caveat: this is definitely a book written for a female audience. Although I appreciate the desire for a focused audience, I really feel the material could be applicable for anyone. In some ways, I wish the book had been written in a gender-neutral style. 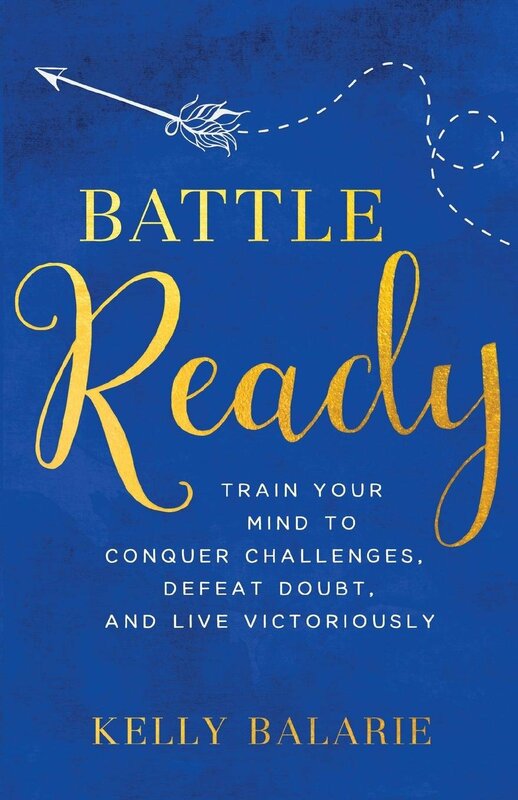 That said, Battle Ready is an inspiring book that, when properly digested, could be a powerful force for change in your life.